The National Fair Dealing Road Show aims to introduce potential users to DOC’s Copyright and Fair Dealing – Guidelines for Documentary Filmmakers, published in May 2010. Filmmakers are encouraged to bring their “war stories” on copyright and to engage on case studies presented for discussion. As an exercise in building community-based consensus the panels also discuss copyright myths and argue whether a particular use of copyright-protected material would meet the Fair Dealing exclusion or not. A further development (see our earlier posts on the topic: Previews of Music as Fair Dealing and Previews of Music as Fair Dealing (Redux)) in the SOCAN v Bell Canada, et al case – where the Federal Court of Appeal recently held that “previews” of songs offered by online music services constituted “fair dealing” for the purposes of research. SOCAN has filed a motion for leave to appeal the Federal Court’s decision to the Supreme Court of Canada. SOCAN’s motion can be found here (hat tip: Sookman). The Memorandum of Argument begins on page 104 of 133. The Applicant submits that in finding that the actions of the Respondents constitute fair dealing, the Court below has created a very significant and unwarranted expansion in the scope of the defence. This expansion disrupts the balance between creators and users that the Act was intended to strike and results in the complete removal of the Applicant’s rights over a significant use of its music repertoire on the Internet in a manner that is incompatible with the object, spirit and purpose of the Act. The defence of fair dealing is intended to further the central purpose of copyright law, that is, to strike a balance between the public interest in the creation and dissemination of creative works and the interest of creators in obtaining a just reward for their efforts. The Act imposes two conditions on the availability of the fair dealing defence: the dealing must be for an allowable purpose as enumerated by the Act and the dealing must be, in fact, fair. The allowable purposes listed in section 29 of the Act are “research and private study.” In light of the purpose of the Act, the use of music previews by the Respondents cannot be considered either research or private study and the volume of previews transmitted by the Respondents is too large to be considered fair. The decisions below imperil the balance between protecting the interest of creators and promoting the development of creative works by expanding the definition of the term “research” to include activities that do not encourage the creation and dissemination of new works and by failing to consider the amount of the dealing in the aggregate. Because any eventual Supreme Court decision in this case would be one of the first opportunities for the Court to authoritatively describe the contours of fair dealing following CCH v LSUC, whether Court agrees to hear the appeal, almost as much as the decision itself, will be important. Given the nature of the ‘research’ involved in users listening to the 30-second clips or previews of songs online, the court felt that research be given its primary and ordinary meaning, this being the use of previews to help consumers in their search for a particular song as to ensure its authenticity and quality before purchasing it. In this context, ‘research’ included consumer research. The court then examined whether a 30-second preview, or less, was fair. The Federal Court of Appeal agreed with the Copyright Board in holding that the amount of the dealing is presumptively fair, given the length of the complete work. The Documentary Organization of Canada (DOC) has announced the release of its Guidelines to Fair Dealing Practices for Documentary Filmmakers. Documentaries, by their very nature (ie because they seek to depict and reproduce the world as it actually is, and generally are not filmed on controlled and artificial sets), face greater “clearance” challenges when it comes to obtaining errors and omissions insurance – permission must be obtained for, among other things, the on-screen reproduction of any copyright or trade-marked materials, such as songs, posters or film clips. The DOC Guidelines aim to provide guidance on when “fair dealing” may be relied upon to avoid having to obtain clearances. 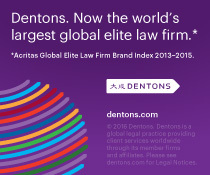 The issue of the extent to which Canada’s “fair dealing” mechanism can be used to ease the clearance process is a contentious one, with producers (and their counsel) squaring off against E&O providers (and their counsel) – and is ultimately a subset of the larger debate regarding the efficacy of “fair dealing” itself. As DOC notes in their press release, the Guidelines are intended as a stop-gap measure on the way to DOC’s goal of achieving a more wide-ranging reform of fair dealing. Of particular interest is the role to be played by efforts to create industry-standard guidelines. Cogent arguments have been advanced, including those by Giuseppina D’Agostino, that reforming the law of fair dealing will not prove as constructive as creating “fair dealing best practices” (see D’Agostino, “Healing Fair Dealing? A Comparative Copyright Analysis of Canadian Fair Dealing to UK Fair Dealing and US Fair Use”, 53 McGill Law Review 309, available for download from SSRN). In other words, perhaps the most productive way forward is by developing, informed by the positions and (competing) preferences of all stakeholders in the relevant industry sector, precisely the sort of guidelines and standards which the DOC Guidelines are a first step in creating. (The Center for Social Media at American University has promulgated a Documentary Filmmakers’ Statement of Best Practices in Fair Use which is an effort similar in ambition to that of DOC.) Though such guidelines do not have the force of law, there is the hope that, to quote D’Agostino, courts will see fit to treat them “as ‘soft law’ when interpreting fair dealing cases”. The DOC Guidelines will almost certainly not be the final word on the matter – they do not appear to have been endorsed by E&O providers, for example. There will be elements of the Guidelines which prove contentious (as an example, as I touched on in this short piece at IP Osgoode on the “incidental inclusion” exception in Canadian copyright law, the DOC Guidelines adopt the most aggressive, and producer-favourable, interpretation of the “incidental inclusion” exception). 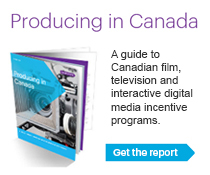 But the DOC Guidelines will hopefully serve as a welcome first step in the ongoing process of clarifying and simplifying how Canada’s copyright laws can, and should, interface with day-to-day film and television production activities. Both sides in Don Henley‘s lawsuit against California US Senate candidate Chuck DeVore (R) over campaign “parody” videos that used Henley’s tunes set to lyrics mocking Sen. Barbara Boxer (D) have now filed cross-motions for summary judgment, teeing up a case that will likely clarify the rules for political uses of third-party material. Sheffner provides in-depth consideration of applicable precedent and the workability of the distinction between parody and satire. (A short but also comprehensive article on the topic, “The Politics of Fair Use”, was written by Denise Mroz and David Levenson, and can be found in NYSBA Entertainment Arts & Sports Law Journal, Vol. 18, No. 3 (Fall/Winter 2007).) As Sheffner discusses, in a case involving an allegation of copyright infringement, all of the action is occurring in determining whether using the songs without permission constitutes an allowable “fair use” under US copyright law – because US copyright law recognizes a fairly robust parody exception to copyright infringement, as set out in the US Supreme Court decision in Campbell v Acuff-Rose. The existence and extent of a parody exception (and/or a satire exception) has an importance well beyond political campaigns – it can be of significance in areas such as documentary and fictional film-making as well. Of particular note for Canadians is the fact that under Canadian copyright law, it is unlikely that the debate could occur at all. Conservative attack ads fired at Liberal Leader Stephane Dion may end up sideswiping the ruling party after questions were raised about possible breach of copyright laws.